Keeping you up to date with the latest organic trends, from skincare products, to healthy recipes, to skincare tips and other trends, we love to keep our clients educated on all things organic! If you are interested in reading more about our spa services please visit our services page to see which spa treatments are best for your needs. 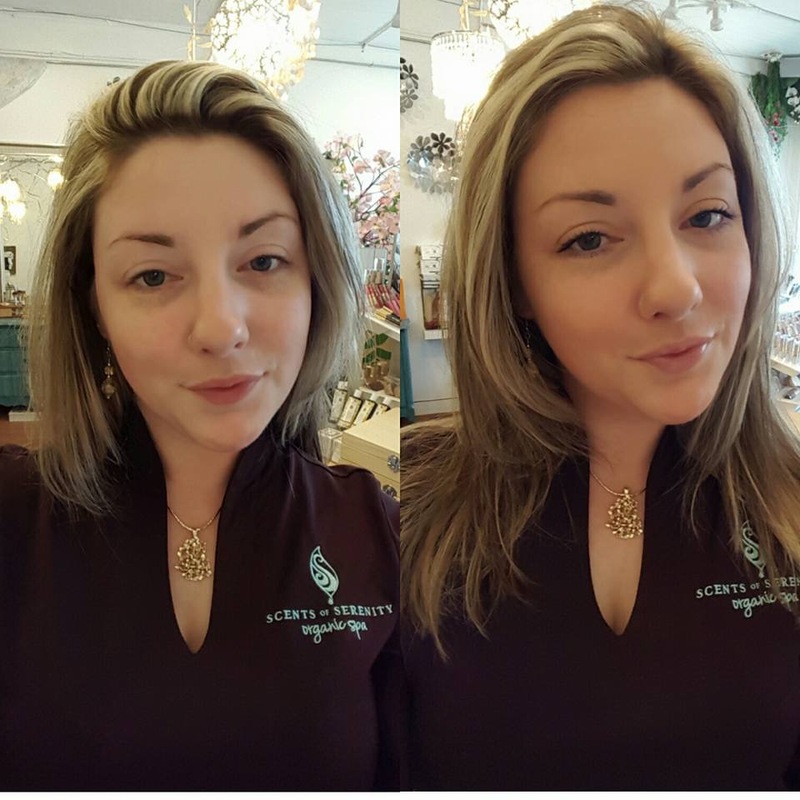 We offer the best organic services from massages, facials, spray tan, manicures, pedicures, sugaring, microdermabrasion and led light therapy. If you have any questions about our services please contact us at 804-277-4498 to speak to our guest service coordinator today! 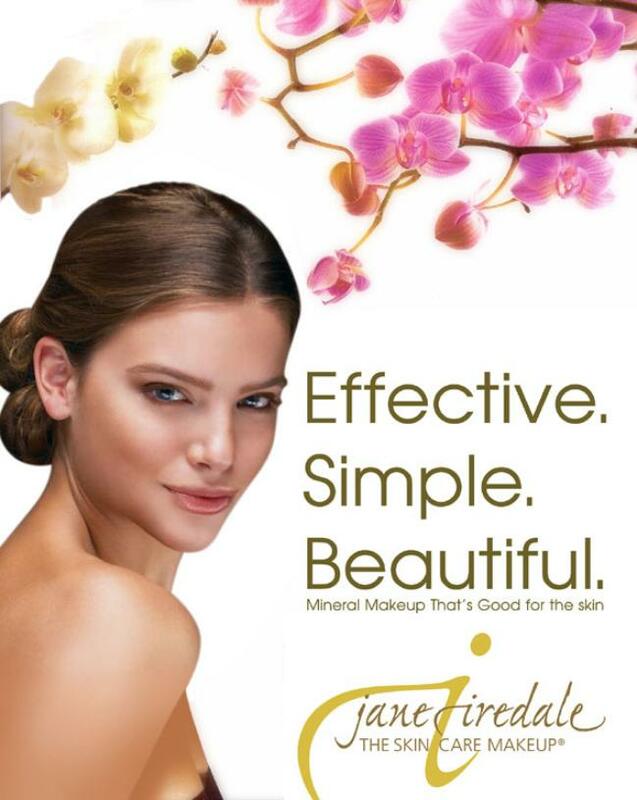 In April we brought in the amazing Jane Iredale make-up line! Many of our clients have already experienced the effects of this magnificent make-up line, but if you haven’t yet please come by the spa and take a peek at our display! We proudly carry the entire line at Scents of Serenity and are happy to provide color matching for our clients! Take a look at our beautiful Manicurist, Kayla! Her before and after pictures enhance her natural beauty without looking over done. 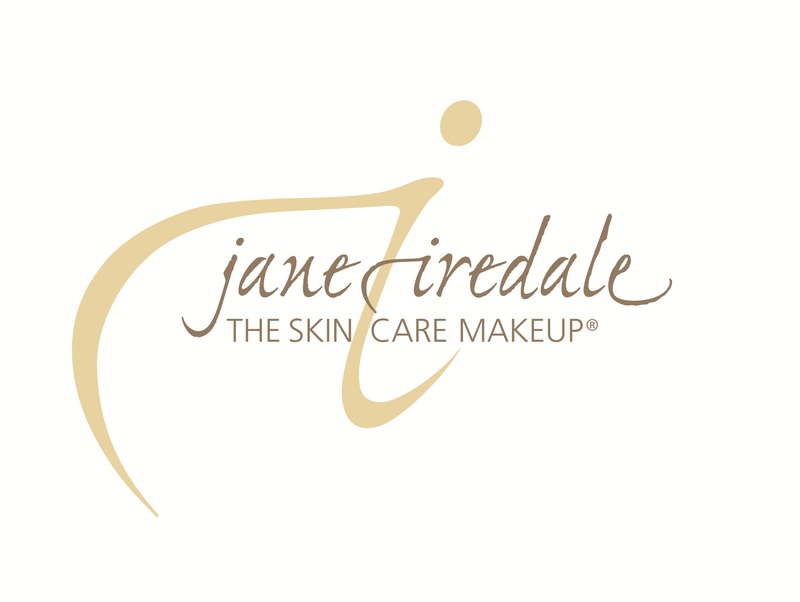 One of the reasons we decided to bring in this fantastic line is because of Jane Iredale’s commitment to providing the utmost integrity to the skincare and beauty industry by providing a make-up line that feeds the skin and is actually benefiting it not clogging the pores. Through that commitment a product line was created that not only looks good and feels good but it is nourishing to the skin. It was equally important to Jane that her line enhance the natural beauty in a woman, rather than trying to make their face conform to the latest fashion trends. Women of all nationalities and ages can enjoy this beautiful line. Jane Iredale’s mineral powders offer foundation, powder and concealer and sunscreen all in one, making it multi-functional. -Talc free: Because pure mineral pigment is used with no fillers such as talc, Jane Iredale foundations and concealers give exceptional coverage that requires minimal touch-ups. -Particle size: All minerals have been tested under laboratory conditions. Results show that there are no nano-size minerals in any products. -Non-comedogenic: Jane Iredale’s foundations form a protective barrier on the skin that allows it to breathe and function normally. Laboratory tests confirm that all of Jane Iredale’s products are non-comedogenic and do not block pores. -Sun Protection: Seven Jane Iredale products have earned the Skin Cancer Foundation Seal of Recommendation. To earn this seal, a manufacturer must provide scientific data showing that its products sufficiently and safely aid in the prevention of sun-induced damage to the skin. -Adherence: Jane Iredale minerals bind together upon application so they resist running, creasing and smearing. They can be removed with a cleanser or their special micro-fiber cloth Magic Mitt, which requires only water for effective cleansing. -Hypo-allergenic & Anti-irritant: Products are safety tested, allergy tested, clinically tested and dermatologist tested to ensure avoidance of any ingredients that may be skin sensitizers. A conscious effort is made to include anti-irritant ingredients in all products because Jane Iredale believes that this can measurably contribute to skin health. -Use natural preservative: Where preservatives are needed, Janie Iredale uses a combination of natural preservatives, always excluding parabens. Massage is great for improving mood and sleep. Whether it’s the Monday blues, the changing of the seasons, or more long-term feelings of anxiety and depression, research indicates that massage therapy may assist in lifting spirits, improving moods, and resetting circadian rhythms, which all can lead to better sleep and more energy! For many of us, sleep is the sweet balm that soothes and restores us after a long day of work and play. However, for those with which sleep is elusive or otherwise troubled, the issue is far more fraught. Sleep provides a vital function. It allows for growth and repair of the body. People who are chronically sleep-deprived have a reduced ability to perform cognitive tasks and often feel lethargic and moody. We all require sleep to function at our optimum level and it is imperative for a healthy body. Research shows that sleep deprivation may lead to significant health problems such as obesity, cardiovascular disease and diabetes among other ailments. We all crave the comfort of a restful night’s sleep and it’s restorative power. What if a weekly, bi-monthly, or monthly massage was all that you needed to make the difference? No matter the approach or modality, the goal is improved health and wellness. Massage therapy boosts serotonin levels, of which people with depression often have low levels. Serotonin helps regulate and stabilize mood, appetite, sleep, memory and learning, so increasing it’s production in our bodies can make a significant impact on our daily lives and well being. Which Massage Modality is Right for Me? 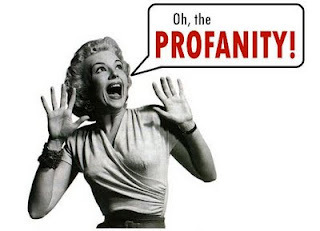 Don’t say those dirty words…. What goes on, goes in: As more and more people are turning to organic alternatives for their dietary choices and the selection of household cleaning products, they are discovering that not only what we put in our bodies, but what we put on them, has a significant impact on our health and well being. Our skin, being our largest organ, is not only impacted directly, but can deliver what we put on topically, straight into our bloodstream. 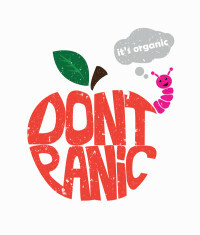 It’s no wonder that the demand for organic skin care products is increasing steadily. Consider this: Government regulations allow virtually any ingredient to be used in the manufacture of products that we use daily on our skin, hair, and nails, and even in the water we drink. The Food & Drug Administration (FDA) establishes the regulations and standards in the United States regarding the manufacture of drugs & food. The problem lies in the fact that many of us assume that the same is done for skin care products. Unfortunately, this isn’t so, thereby allowing some very harmful chemicals to be used in creating the products we use on a daily basis. Most of these compounds are absorbed easily by the skin and transported into the blooodstream, yet the body has no way of ridding itself of them. The toxins remain in your intestine and eventually get spread through the body potentially impacting our bodies’ functions and causing damage to organs and body systems. We are all concerned about our health and well being, which means that it is important that we are proactive in choosing products that are good for our bodies. Once you have become reasonably familiar with the harmful ingredients (the “dirty words” as we like to call them) that are so commonly used in skin care products, you will learn to recognize the difference between synthetic and natural & organic products. Becoming a more informed consumer will allow you to make smart choices while shopping for your organic skin care products, and thus protecting your overall health. We will look at these “dirty words” in greater detail in the next few weeks…in the meantime, check out EWG for more information on ingredients you may be questioning! We all love the Eminence starter kits – they’re a great way to get into the line, especially if you need to revamp your whole skin regimen. Their newest (and most inclusive) kit is the Eminence Organic Age Corrective Starter Kit, an anti-aging line that uses an innovative Natural Retinol Alternative to reverse the signs of aging. Like all Eminence products, the line uses natural, organic ingredients from nature (NOT chemicals) to revive tired skin, and reveal the youthful glow beneath. Some of the key ingredients include Phytocelltec Swiss Green Apple Stem Cells, bamboo, monoi, argan oil, and other organic components to boost collagen production, lift, and tighten. Studies have shown a 25% increase in collagen production in just 6 days, so you’ll get fast results, and a chance to indulge in the exotic aromas of monoi and coconut. The Monoi Age Corrective Exfoliating Cleanser, which washes away impurities and removes surface debris, leaves the skin feeling smooth and clean. Finely ground organic olive seeds naturally exfoliate the skin, allowing your products to penetrate deeper without using harmful plastic microbeads. Next, the Bamboo Age Corrective Masque firms and tightens, as well as adding moisture and hydration. The masque also helps improve elasticity, which steadily declines with aging skin. One of our favorite products, the Bamboo Firming Fluid, firms and deeply hydrates the skin. The best part is that it leaves your skin smooth and silky to achieve a fresh, dewy appearance before you even put on makeup. Finally, the Coconut Age Corrective Moisturizer hydrates and tones, while also offering a layer of protection against free radical damage. The kit also includes a Neroli Age Corrective Eye Serum, to help reduce the appearance of fine lines and crow’s feet. This serum pairs up perfectly with Eminence’s Lavender Age Corrective Night Eye Cream for younger, brighter eyes. Every year, more evidence surfaces of how harmful parabens, GMOs, petrochemicals, and synthetic dyes are for our skin. Eminence products offer lasting, effective skincare without all the bad stuff. We’ve all heard of the saying “you are what you eat”; what you put on your skin is just as important! At some point in our lives, we have all probably experienced acne, regardless of age. For some of us, it might just be the inopportune pimple, or the pre-wedding blemish. For others, acne can be a lifelong struggle that affects both health and self-esteem. With all of the anti-acne products on the market, it’s tough to find the right one for you. But did you know that some of these products can make acne even worse? Harsh chemicals can dehydrate and irritate the skin, which only increases oil production. That’s where the Probiotic Clear Skin line by Eminence is different. Using all-natural and organic ingredients, it gently reduces the signs of acne without stripping the skin of its natural moisture. Like all Eminence products, is it formulated without parabens, sodium lauryl sulfates, synthetic dyes, petrochemicals, phthalates, GMOs or triclosan. Cucumber juice naturally revitalizes and tones the skin. It shrinks the appearance of skin pores, and purifies the skin. Yogurt, which contains lactic acid, works as an exfoliator while also moisturizing and nourishing. Tea tree essential oil, an anti-inflammatory and antiseptic, cools and balances the skin, along with beta-carotene rich marigold. Willow bark extract is a natural astringent, helping to minimize breakouts. Shea butter, high in triglycerides and fatty acids, is an excellent emollient for skin. Anise contains antibacterial properties to calm irritations and aid in the healing of skin. Other ingredients include kaolin clay, stone crop, walnut leaf, horsetail, and calendula oil. With daily use, the Clear Skin solution is gentle and soothing, but also effective. 75% of users reported a reduction in acne lesions and scars in just 14 days, and 100% of users showed a reduction in the number of acne scars in only 28 days. The line includes a cleanser, masque, booster serum, and moisturizer (available separately or in a convenient travel-sized starter kit). The products are gentle enough to use daily, and are recommended for all skin types, especially acne-prone and problem skin. At Scents of Serenity Organic Spa, we also offer a Clear Skin & Deep Pore Cleansing Facial, which incorporates the Clear Skin line as well as Blue LED Therapy to destroy P. acne (Propionibacterium acne) on skin. The best part? Eminence products are environment-friendly, and cruelty free (that means no testing on animals). 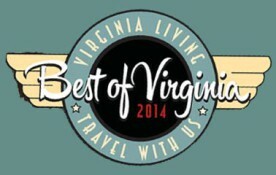 Best Day Spa in Richmond Virginia! It’s been a pretty fantastic year for us at Scents of Serenity Organic Spa! This year we were voted Best Day Spa in Richmond Virginia by Virginia Living Magazine readers and one of the best spas and best massage therapy in Richmond, Va by Style Weekly readers! In addition to placing in the best day spa and best facials categories we also received placement in the best brow waxing category by Richmond Magazine readers! We know that Richmond, Va residents have many choices when it comes to finding a local day spa or massage therapists and we feel honored to be among the best. One of the things that makes us so unique is our focus on natural and organic skincare and products. We do a lot of research before we bring any product into our spa and that includes what we use during our massage and facial treatments. We use organic massage lotions and organic skincare products in each one of our facials, massages and body treatments. We know how important it is to our clients that we offer clean products, free from harsh chemicals. We are so humbled each and every day that we get to make a difference in peoples lives. Nothing feels better than hearing your clients tell you that they have been in pain for years and you were the only place they have every gone to for massage therapy that has helped them with their muscle pain. We see clients weekly who’s skin has transformed after having sought out numerous treatments year after year with no results. Our team is among the best in the industry and we pride ourselves on having some pretty amazing talent. We are so thrilled to see what the future brings and we look forward to another amazing year! Physical activity is important for overall health for everyone. Whether it is organized team sports such as softball and soccer, individual sports like running and golf, or class-room style exercise such as yoga and Zumba, the act of exercise is good both physically and emotionally. This sentiment is not lost on residents of RVA either. On any given weekday you will see runners and cyclists about Richmond, and teams of all types fill area fields. Have you added massage therapy into your regular exercise routine? Massage therapy is not only a great relaxation tool, it can aid in muscle recovery, as well as repair and/or prevent injury. When you work out, and hit that anaerobic state, your muscles create lactic acid. Lactic acid will cause muscle fatigue, hampering your exercise. 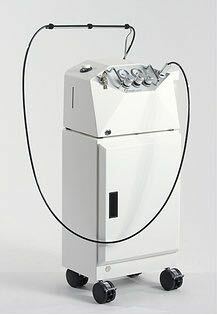 Massage therapy removes residual lactic acid, while also increasing oxygen absorption by muscles. Improper, or more often nonexistent, stretching can lead to muscle inelasticity, a result of heavy exercise. Regular massage therapy will loosen up muscles increasing elasticity, which can increase overall movement. Massage therapy is very beneficial for relieving inflammation, whether the result of an injury or through diet and exercise. Some people steer away from sports massage, worried that the massage will not be relaxing, opting for a traditional Swedish massage instead. Performed correctly, a sports massage is every bit as relaxing as a traditional massage. During a massage, endorphins are released by the body through the pituitary gland and the hypothalamus. These endorphins act as your body’s natural pain reliever. It is important to know what to expect during a massage though. First thing to happen is the massage therapist will want to know what sports and activities you participate in, as well as if you are experiencing any chronic pain or injuries. This will help the massage therapist customize the massage. The massage will include muscle manipulation, zone specific passive stretching, as well as overall muscle group alignment. A great way to increase the benefits of the massage is to add essential oils, such as white fir, lavender, and helichrysium. Essential oils are very beneficial to muscles by reducing inflammation, increasing oxygen to the muscles, as well as aiding in muscle repair. Helichrysium has been found to repair damaged muscle tissue. Let’s take a moment to expand on inflammation to better understand how this fits into a massage therapy conversation. Inflammation, in controlled amounts, plays a vital role in fighting off injury and infection, but then needs to be flushed out as part of the healing process. Massage therapy will aid in that process, helping the body to filter and flush toxins, increase oxygen and microcirculation, and bring new cells to the muscles. When your body is unable to remove inflammation, and it becomes chronic inflammation, your body will not be able to fight infection as well or be equipped to stay healthy. There is more and more research regarding chronic inflammation as a root to many types of cancer, heart disease, and even depression. Massage therapy is beneficial in reducing that inflammation, providing overall physical and emotional support. Whether you are a triathlete or just a weekend warrior, making sports massage a regular part of your workout regimen will pay dividends, both physically and mentally. Scents of Serenity Organic Spa offers a variety of massages for all Richmond athletes. Whether you are looking for a sports massage, deep tissue massage, golfers massage or a stress buster massage, or even a thai yoga massage our skilled massage therapists are highly trained to work with athletes of all kind.